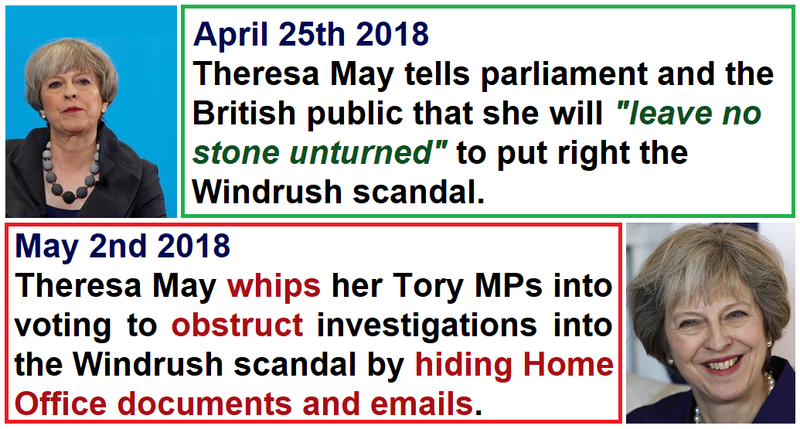 On April 25th 2018 Theresa May vowed to "leave no stone unturned" to put right the Windrush scandal, but just one week later she whipped her Tory MPs into voting to keep Home Office documents and emails hidden from the parliamentary investigation into the Windrush scandal. We already know that Theresa May is culpable for the Windrush scandal because she was the architect of the 2014 UKIP-pandering anti-immigrant legislation that has been used to deny employment, social security, accommodation, pensions, and NHS care to thousands of British citizens without the paperwork to prove their identity. We also know that British citizens have been locked up in immigration detention centres and denied the right to return to the UK. 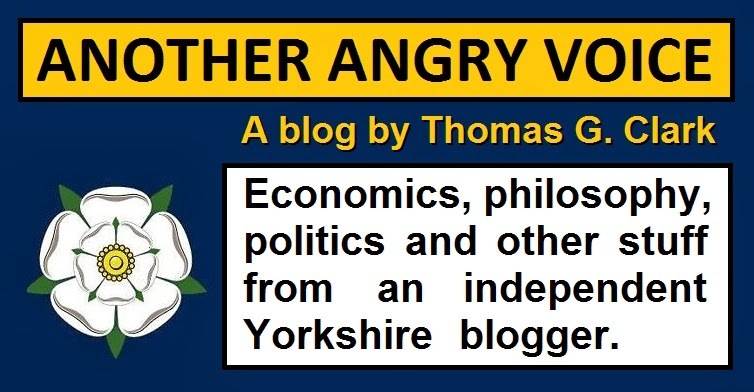 And we also know that Theresa May didn't give a damn about innocent people getting trapped in the Kafkaesque nightmare she was creating because she proudly boasted to parliament that "we can deport first and hear appeals later" - which is about as obvious an example of the horrifyingly fascistic "guilty until proven innocent" strategy as you're ever likely to hear. What we don't know is what Theresa May is so desperate to hide that she whipped her MPs into concreting over the crime scene by keeping Windrush evidence secret just one week after promising the nation that she would "leave no stone unturned" to put the Windrush scandal right. Presumably Theresa May knows that there's some extremely damaging evidence in there. Evidence that's so damning that it's worse than breaking her word and forcing her MPs to vote for secrecy on the eve of crucial local elections. We already know that the Tories were warned over and over again that their "hostile environment" and UKIP-pandering legislation were wrecking the lives of British citizens, so whatever Theresa May is so desperate to hide must be even worse.